Lose Weight, Feel Great and NOT struggle as you do it. You’ve probably tried dieting, diet fads, diet pills and exercising – but your Goal Weight just seems to slip by. You scan magazines for the next, big answer, Yes, this Diet will work for you, yes it will…… But, Diet fads are just that – fads. And let me guess, the combination of dieting and exercising that always started with enthusiasm only lasted for a short period of time because “you lost your Will Power”, you just “needed a treat” “it became too hard” or “life got in the way” and so you went back to your old eating habits. What is missing from these programs is the “whole truth” about long term and permanent weight loss. Years of scientific research has proven that there are “3 critical components” for a weight loss Program to be successful in achieving any long term weight loss. My Perfect Image addresses all 3 critical areas to ensure that your Weight Loss is Easy, Rapid and Permanent. It has been proven that if you miss any one of these critical components you will get stuck in the all too familiar “YO YO weight loss / weight gain” cycle. My Perfect Image has designed a unique 3 step Process using specialized hypnosis sessions that enable you to lose those unwanted kilos, stop unwanted cravings, find enjoyment in exercise and improve your health and wellbeing – for life! Click here to find out more details on sessions. If you want to achieve real, long lasting results, you must do more than eat right. You need to make significant changes to the way you think and feel about yourself, food, eating and exercise. You must change your “Unconscious Habits” around eating. You must clear the “unconscious armour” your mind has subconsciously set up to keep you safe. No one sets out to be overweight, fat, or even chubby!!! It just “creeps” up on us. We eat “badly” but most of the time we don’t even “know consciously” that we are eating. It is a HABIT we have just developed unconsciously. SO, let’s develop a NEW HABIT of eating well; Of eating the right food, the right quantity and at the right time and learn to Say NO when we are full. 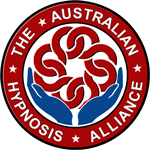 My perfect Image consists of FOUR to SIX Hypnosis Sessions, each focusing on a “Mindset Change” essential to reprogram your unconscious mind to accept and support the long term result you desire. 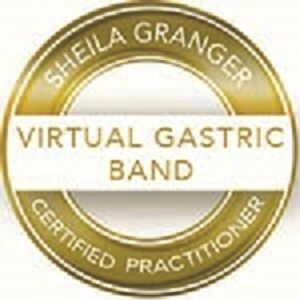 As an example: by the end of your “Gastric Band” session you will have been taken through a unique process that will have you believing that your tummy has “shrunk” and can only eat smaller amounts of food. This is the gastric band hypnosis. The Perfect amount of food for you and your lifestyle. You will feel full faster and be able to say NO to seconds. There will be little desire to “eat everything” on your plate. No desire for snacking after dinner. No cravings for sweets. Your Weight journey to date. What is your history? When did “weight” become a problem for you? From – To? : What do you want to change in your life, all areas! Your health, your job, your finances, your relationship! How do you want to live? How do you want to FEEL? Very easy… just bullet points, no stories, but so important to enable us to uncover just what is “really” underlying the “cause” of you holding onto the weight so we can personalise your hypnosis for the very best and quickest results. 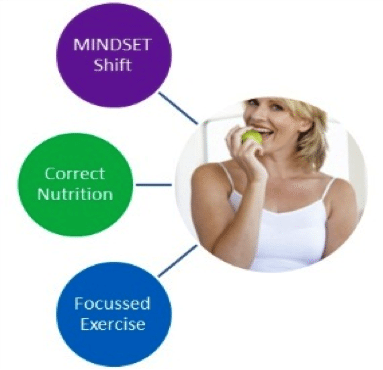 The secret ingredient that is missing from most Weight reduction Programs is mindset. Unless you change your thinking, eliminate the emotional blocks, you will always revert back to your old behaviors and eating habits. Turn your weight loss efforts around with the power of weight loss hypnosis. 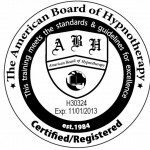 Your Perfect Image hypnosis for weight loss therapists have been trained in the newest cutting-edge hypnosis and neuro-linguistic programming techniques based on the very latest mind and weight loss research. Our system, starting with gastric band hypnosis, helps you follow any healthy eating and exercise plan for real results. Begin eating smaller portions, drinking more water, losing the cravings for high calorie foods and actually craving healthy food, exercising regularly and eating less while feeling full for longer. If you are committed to losing weight and willing to put in the effort required to alter your mindset about food for good, then My Perfect Image Weight Loss with Hypnosis will make all the difference to your success. 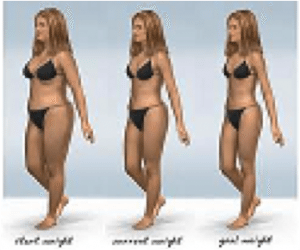 Your weight loss will begin after Session 3 with the virtual gastric band, it will be gradual but it will be long term. This is the real promise that hypnosis can make for you. Most people find that they begin losing weight very soon after commencing My Perfect Image Weight Loss with Hypnosis program. So long as you remain committed to following the program you will continue to achieve great results. During the sessions we teach you how to do it yourself so that you can maintain the wonderful results you are getting and keep going until you have reached your weight loss goal.